There are multiple tools in Windows XP which together can help you to capture Screenshot on your Windows XP Computer. 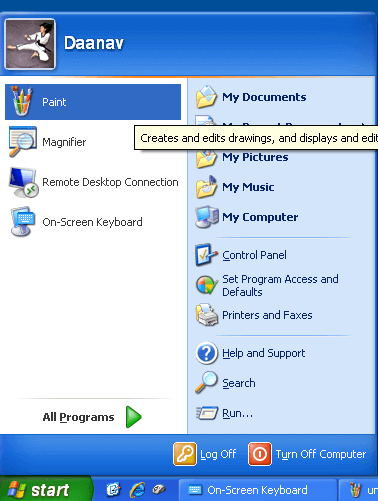 These Screenshot Tools in Windows XP allow you to Edit a Screenshot, Magnify the Screenshot, Capture Screenshot of a Remote Windows Computer, and much more. The given below screenshot displays collection of Screenshot Tools grouped in the Windows XP Start Menu. Depending on the software applications installed on your Windows XP Computer, your Start Menu may look different from as displayed in the screenshot above. The Screenshot Tools to capture Screenshot on a Windows Computer were covered in the post Capture Screenshot on Windows XP post in which the On Screen Keyboard was used. You can follow similar procedure to capture screenshot using the Prt Scr button (Print Screen Button on Keyboard) and save screenshot to your Hard Disk. The procedure to capture Screenshot of a Remote Windows Computer is almost the same as that of capturing a screenshot on a local Windows Computer. While using the Print Screen Button (Using the Virtual Keyboard or Physical Keyboard), make sure that the appropriate Window has focus. The Print Screen Button simply copies the display data of Desktop to Clipboard and you need to manually save the captured screenshot to a data file. Microsoft Word allows you to directly paste image form the clipboard to a Microsoft Word Document. The Print Screen Button only copies the Screen Data to Clipboard and the Width and Height of the Screenshot captured is governed by the Screen Resolution as displayed in the screenshot above. 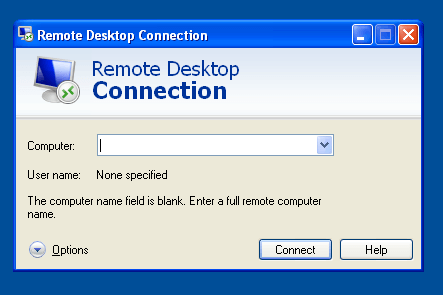 The Remote Desktop Connection allows you to view Display of a Remote Windows Computer in full screen and window mode. In case you want to save the Screenshot of a Remote Computer to your Local Computer, do use the Window Mode of Remote Desktop Connection and make sure that your Local Computer has Mouse and Keyboard Focus, else the Screenshot captured will be copied in the Clipboard of the Remote Computer. 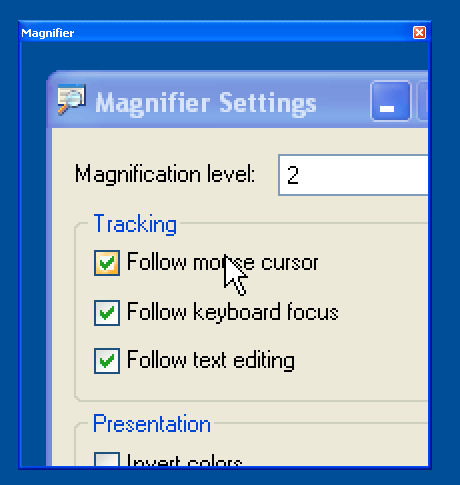 While Capturing a Screenshot of your Local or Remote Computer, you can use the Magnifier to magnify an area of your screen as displayed in the screenshot above. This way of magnifying a particular area of your Display will give you mush better results as compared to magnifying an image in Image Editor. Yes there are lots of 3rd Party Software Applications available on internet to allow you to capture screenshots. Depending on your requirements, you may find the inbuilt Screenshot Tools helpful to capture screenshots on your Windows Computer as and when you want. 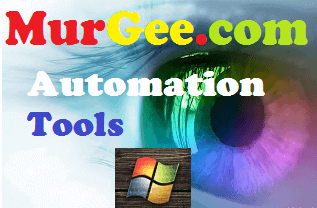 Lots of Tools on Internet are distributed in various ways like Freeware, Shareware or Trial-ware and even Open Source for almost all Operating Systems. With the information provided in this post, you can capture screenshot without using any external software application.